Please note that this page is going through some updates. It will be fully functional again by mid-2019. Important – be aware that we are NOT a real estate agency. In response to numerous enquiries about Myoko real estate we are now providing information about buying properties in Myoko Kogen. Please read and understand this file before sending any enquiry. If you have a particular style of property in mind please use the contact form below with your full details and requests. We do not currently have any public listings or agent advertisements. You may wish to consider requesting access to our private property portfolio. Agents, please contact us if you would like to broaden your marketing through foreign exposure. An ideal ‘ski change’ property with strong income streams and excellent potential for long term capital gain. Please read this file (Introduction to Myoko property buying) before sending any enquiry about Myoko properties! Situated in the south of Niigata Prefecture, Joetsu-Myoko is a place to discover the unknown, where nostalgic scenery depicted in songs like Furusato and Oborozukiyo can still be found. Amidst the region's rich natural landscape, a unique history and culture, sense of tradition, and kindness has flourished. With elegant streets lined with temples, deep forests and highlands, and specialty produce each season, the area is full of charming attractions. Many rice fields were developed in the area during the Edo Period by the lord based at Takada Castle. Those rice fields still form a large part of the Joetsu-Myoko countryside and produce the famous koshihikari rice. This is regarded as the best rice in all of Japan - and as a result, it's best sake (rice wine) too. Everywhere visitors can always enjoy fresh vegetables direct from the local fields or the freshest seafood direct from the Japan Sea. In spring, 4,000 cherry trees bloom in Takada Park beneath Takada castle where visitors can enjoy "hanami" - where people gather to view cherry blossoms, drink and eat. In summer, the local beaches are popular. Joetsu-Myoko is the birthplace of skiing in Japan and you can enjoy winter sports in the Myoko mountains. There are also numerous hot springs in the area. There are also plenty of opportunities for hiking, cycling and much more! 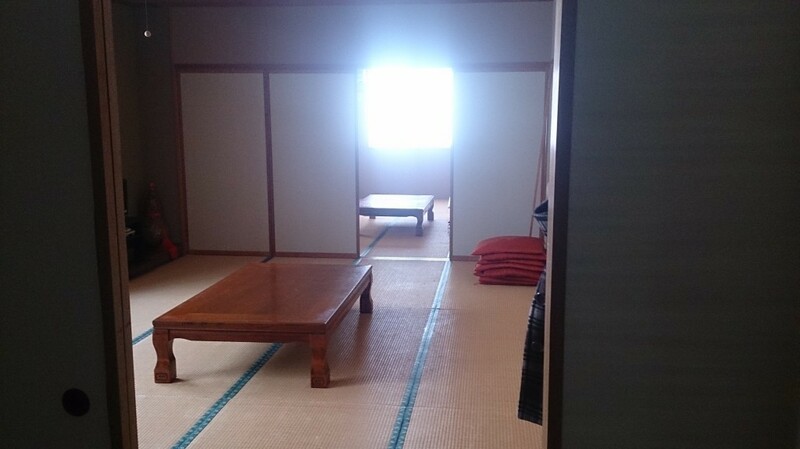 From ancient times there had been strong provincial government in the area and has been the center of Echigo state politics before the Meiji Reformation. 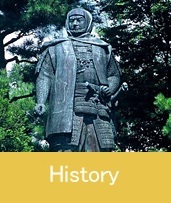 In the Sengoku Period in medieval times, Kenshin Uesugi, who was one of Japan's strongest military commanders, was based in Kasugayama castle. Even after several hundred years, he is still the local hero with locals celebrating his spirit of "gi", or justice. Takada castle was established in early Edo period. Designed By InkHive. © 2019 Joetsu-Myoko, Japan. All Rights Reserved.